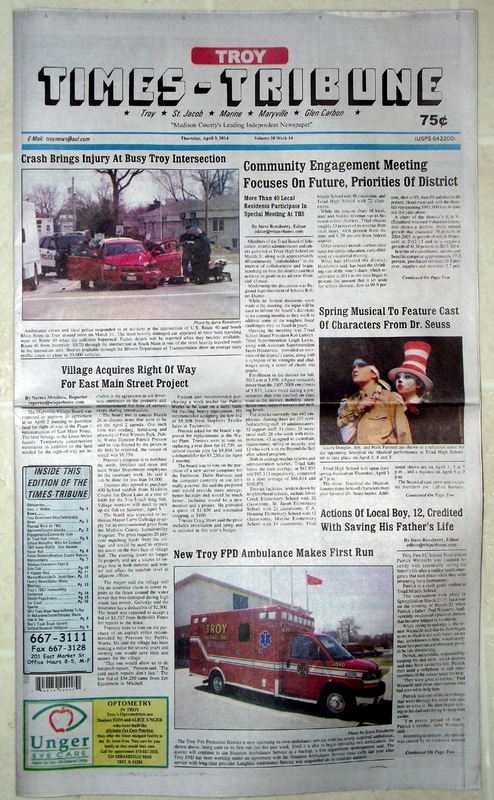 The April 3, 2014 edition of the Troy Times-Tribune is now available. Some of the stories in this issue: Community Engagement Meeting Held at Triad, Maryville Street Project Moves Forward, Spring Musical Preview, Boy Saves Father's Life, Coyote Attacks on the Rise, TMS Construction Projects, Lady Knights Break Records, and a column on car burglary prevention. 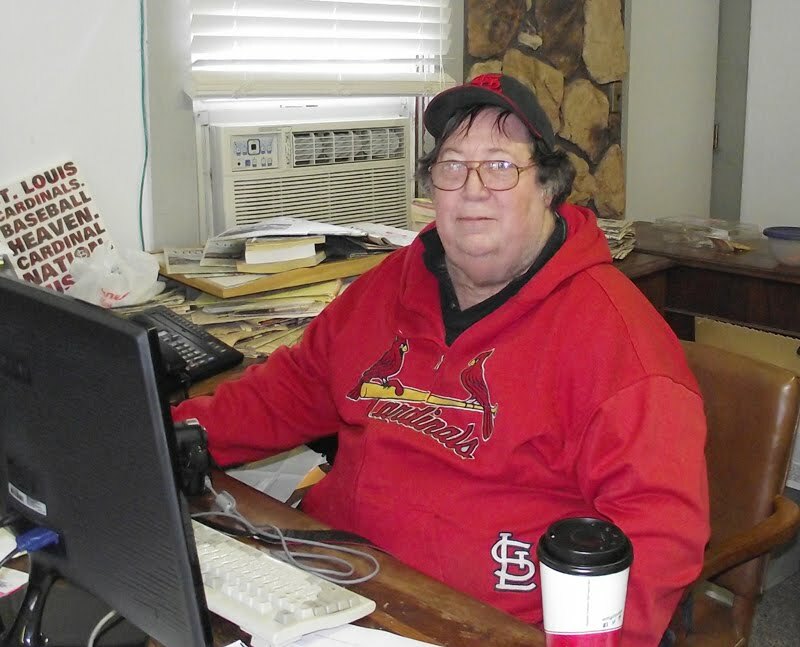 Obits: Gary J. Wellen.